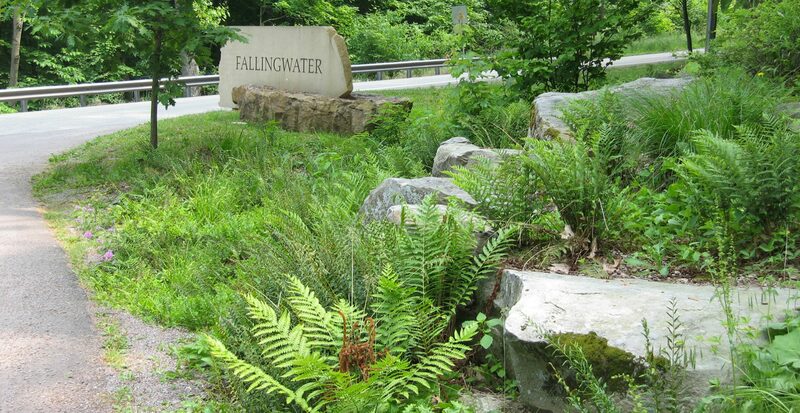 Pashek + MTR designed upgrades to the visitor amenities and landscape at Fallingwater, Frank Lloyd Wright’s masterpiece on Bear Run in southwestern Pennsylvania. Key issues addressed included establishing an identity along the public road, streamlining the circulation, and retrofitting the site for sustainability. 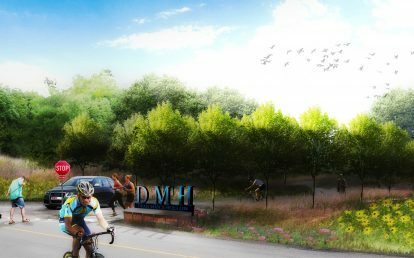 We designed a new, more gracious entrance that fits seamlessly with the existing mature forest while establishing a more prominent presence along the public road. 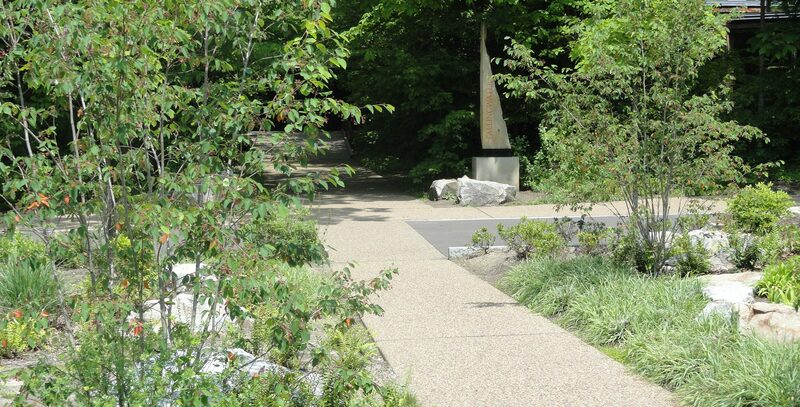 To accommodate grade changes, we designed a natural looking rocky bank covered with native ferns, rhododendrons, and oaks. 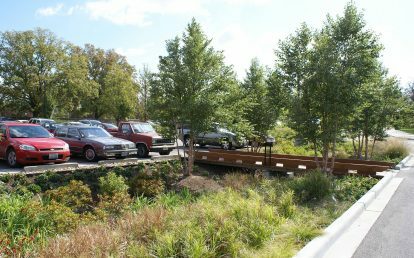 The design reconfigured the visitor parking, creating a series of small “parking rooms” with minimal grading and tree removal, and with rain gardens for decentralized storm water collection and treatment using native plants. Paving was minimized to reduce storm water runoff and create room to plant native trees to shade the parking. Changes to the circulation patterns and the creation of a drop-off area have improved wayfinding and parking efficiency. 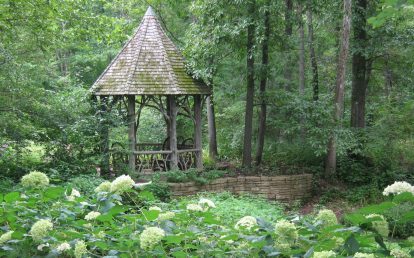 Bear Run Nature Reserve is a 5,000 acre property surrounding Fallingwater. 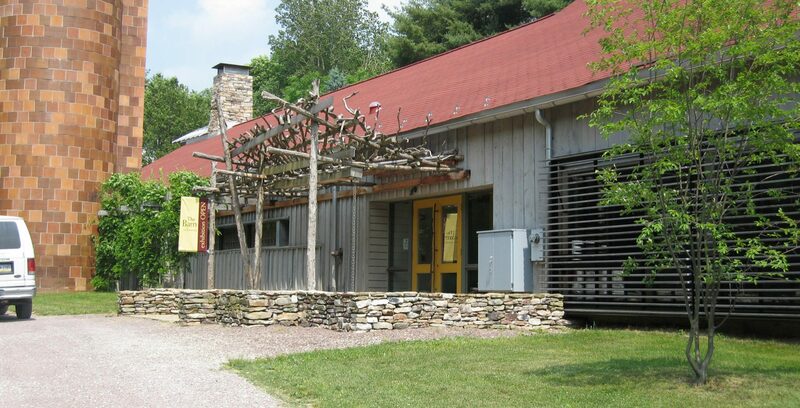 Our projects at BRNR include site design for the renovation of the Barn at Fallingwater and a Trail Master Plan. 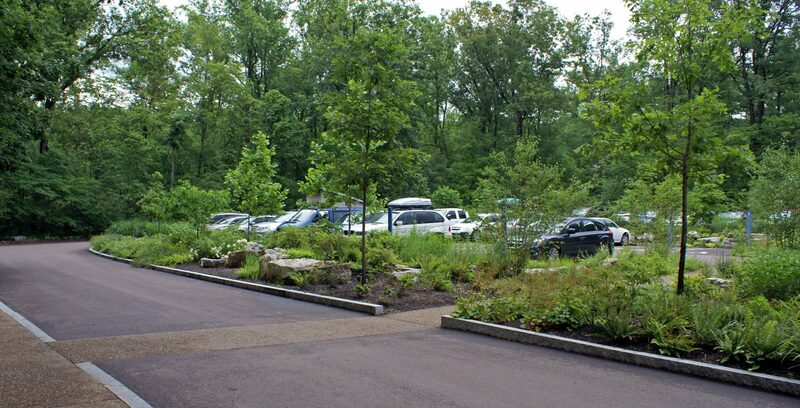 As a consultant to architects Bohlin Cywinski Jackson, Pashek + MTR staff reworked the entrance and parking, created a stone patio trailhead, and designed native landscaping and bioswales for stormwater management. 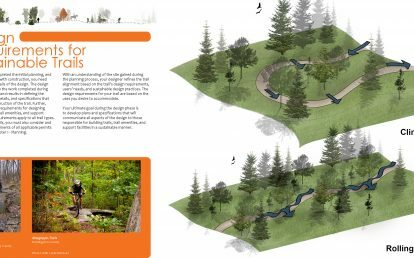 With trail consultant Tahawus Trails, we developed a Master Plan for trail improvements for 20 miles of trails throughout BRNR, documenting erosion problems and identifying reroutes and constructed features to improve trail stability. 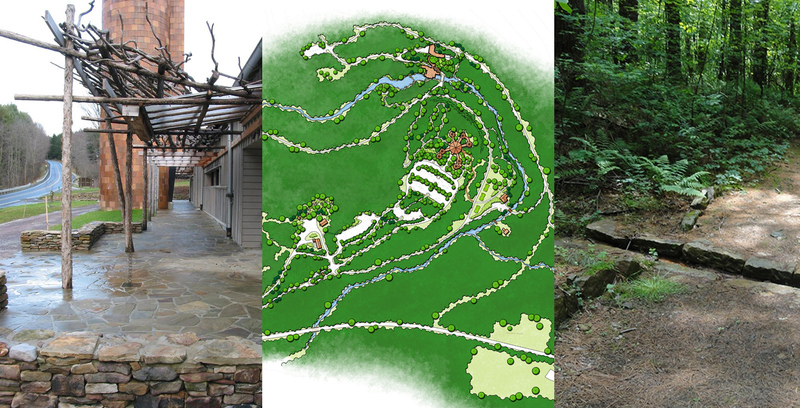 We also designed an accessible trail to an overlook of Fallingwater.